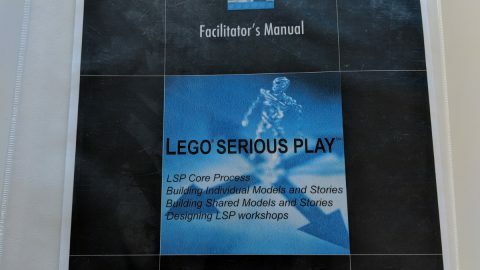 Robin Hendricks wrote the following fun blog post about LEGO SERIOUS PLAY and its ability to solve business challenges. Even in today’s digital world with smartphone-like tech toys targeted for kids aged two and up, you’d be hard pressed to find anyone who doesn’t have at least some first-hand experience with LEGO® building bricks. From early learning DUPLO® bricks, basic brick buckets, MINDSTORMS® robotics, or any number of collector themed sets, the Danish-invented LEGO bricks have fascinated children and adults around the world since 1949 with their bright colors and endless connection, towering, and configuration possibilities. 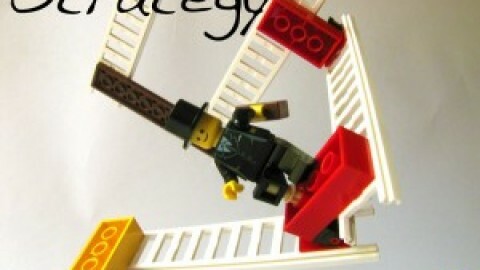 And, with revenue of $4.5 billion (US) in 2013, LEGO shows no signs of slowing down. 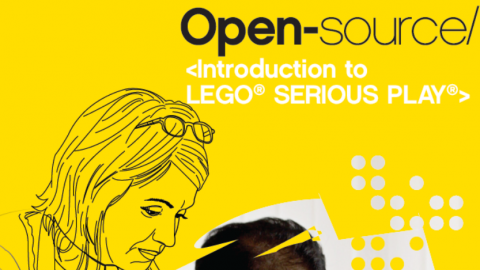 What is relatively unknown here in the United States, however, is that the value of learning with LEGO doesn’t end with childhood. 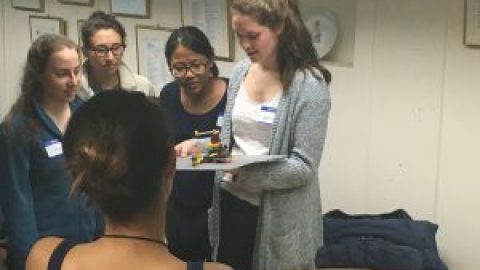 A thinking, communication, and problem solving technique for groups. 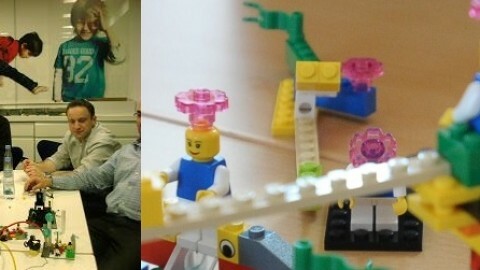 Certified facilitators plan LSP workshops based on business goals and prepare a series of LEGO building challenges for the group. During the workshop, the group progresses through the building challenges designed to unlock ideas, imagination, and solutions. 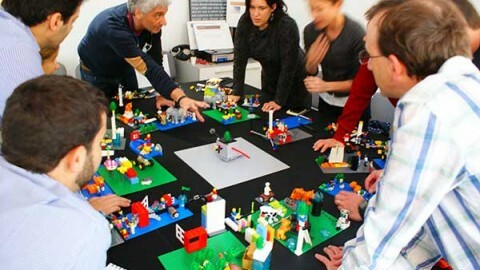 The LEGO building challenges are designed to elicit 100% participation from 100% of the participants 100% during the entire workshop. Unlike traditional workshops and most meetings where 20% of attendees contribute 80% of the discussion, LSP workshops are structured to engage all attendees. Without exception, everyone’s input and ideas are heard. The LSP process also makes use of evidence-based learning theories such as constructivism (Piaget) which states that we construct and rearrange knowledge based on what we already know and have experienced. 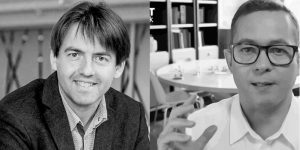 It further demonstrates what Papert dubbed constructionism—if we create internal knowledge based on our interaction with the world, we can accelerate learning when we engage in building something external that holds meaning for us. Certified LSP facilitators in the US, Canada, Europe, South America, and Latin America are helping organizations and teams of all kinds solve challenges and innovate. 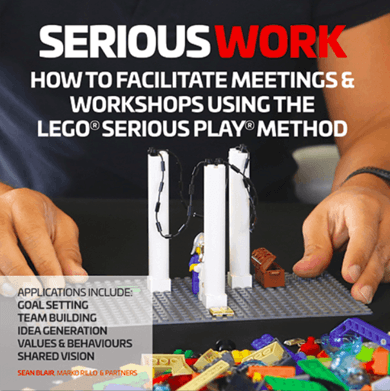 Currently, most of the LSP facilitation in the US takes place in large corporations, but it may not be long before you step on your next LEGO in your own board or conference room. 1. Rock, D (2008). SCARF: a brain-based model for collaborating with and influencing others, NeuroLeadership Journal.